Duration : 06.30 -19.00 hrs. Depart Bangkok for Kanchanaburi by van. 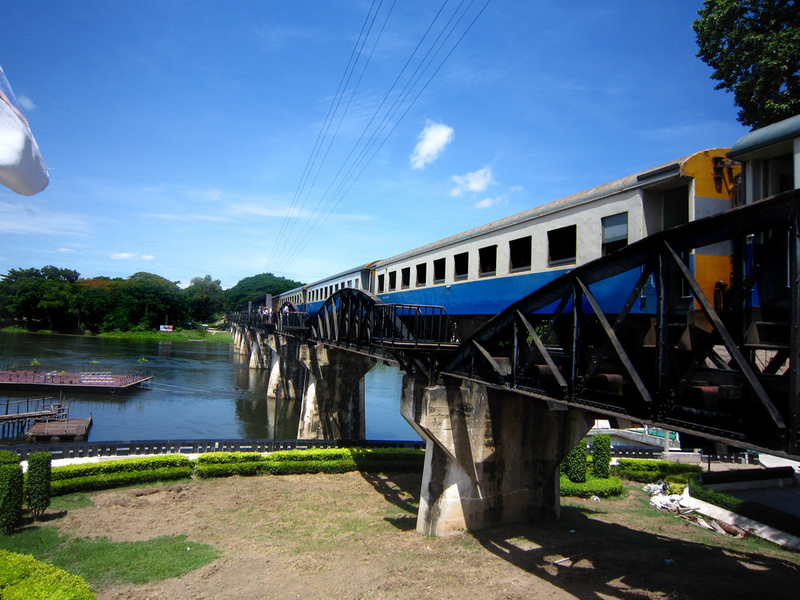 Arrival at Kanchanaburi and visit the War Cemetery of the allied prisoners of world war II. Jeath Museum ( the museum of world war II ) Walk along the bridge over the river kwai. Take the train trip along the Death railway sight-seeing the Countryside and exciting passing by wooden viaduct built by the P.O.W.S. 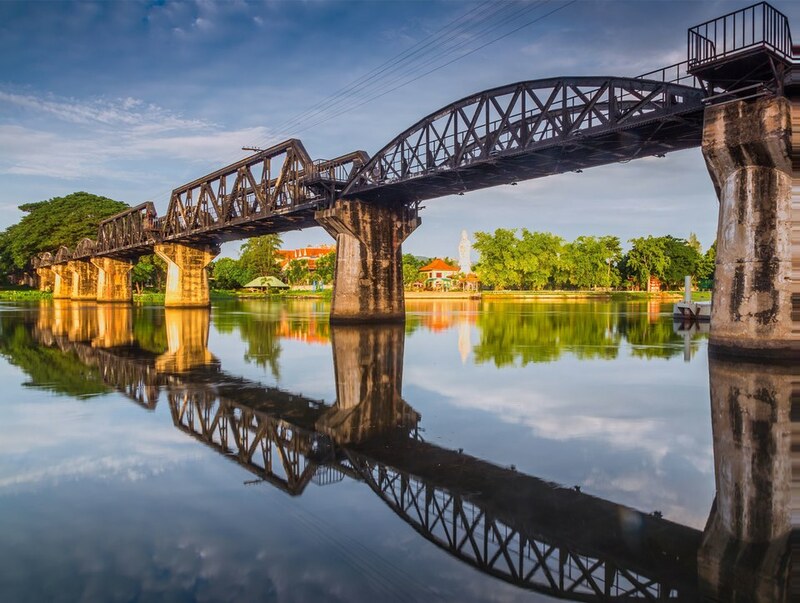 situated on sheer cliff side over-looking the River Kwai. Arrival at Wang-Po railway station. Lunch will be provided. 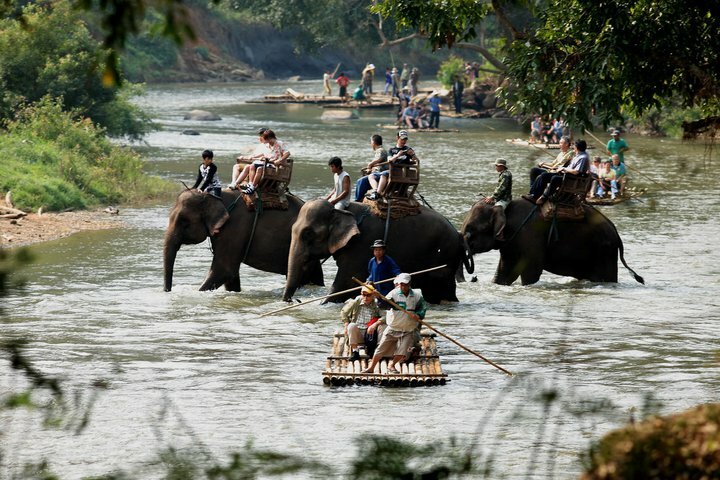 Excitement on elephant riding and bamboo rafting. 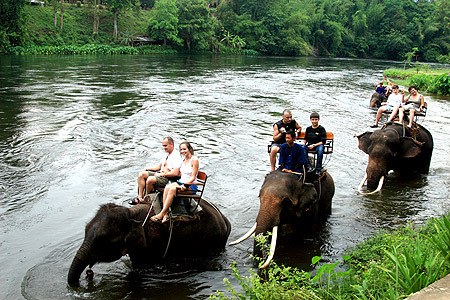 Arrive in Bangkok and transfer to your hotels.